Elaine Luther is an artist, jeweler, public speaker and public artist in the Chicago area. She uses assemblage, collage and direct sculpting to get her message across. I work with found images and objects in my collage and assemblage. With found objects, which are sometimes literally found on the ground, and other times I know what I’m looking for and I go and get it – with those objects, I often like to transform them first into a metal. Usually silver or bronze. Taking a common object, like the baby shower decoration plastic baby and casting it in silver transforms your experience of it. It’s familiar, yet strangely, not. Larger objects, I’ve taken to silver leafing, to keep the cost down. But the goal of transformation is the same. Now I’m also working in bronze, the material of medals and monumental sculpture. I take an everyday object, like a plastic or carved bone button and cast it in bronze and suddenly it’s monumentalized. It’s become something else. The overall message of these transformations is that women’s daily lives, domestic work, has value. My life. In her paintings she uses image transfer, metal, photographs, images she hunts down and thrift store finds. She studied jewelry making in college, trade school and through two apprenticeships. Starting in 2015, she took her social justice teaching experience and gave that a new twist, beginning to create public participation art projects, such as a Before I Die… wall (a replication of the Candy Chang project, done with permission). More projects will take place this summer. She has taught since 1992 at a number of art centers including Lillstreet Art Center and the Indianapolis Art Center. Her sculptures have been exhibited at those art centers and Gallery I/O in New Orleans, LA and Woman Made Gallery in Chicago, IL. Recent shows include a solo show at Harold Washington Library and a group show, Modular 22 at 22 in Berwyn, IL. Elaine’s students at the Chinese American Service League have had art in the 20 Neighborhoods Show at WomanMade Gallery. Elaine has taught hands-on art and art history at Marwen Foundation in Chicago. Elaine served as a charter member of the board of The Chicago Metal Arts Guild, founded in 2001, and served as president of the board of directors from 2010 to 2012. She is currently serving as a member of the Advisory Board for Woman Made Gallery. She has served as a juror for the Old Town Art Fair and the Hinsdale Center for the Arts. 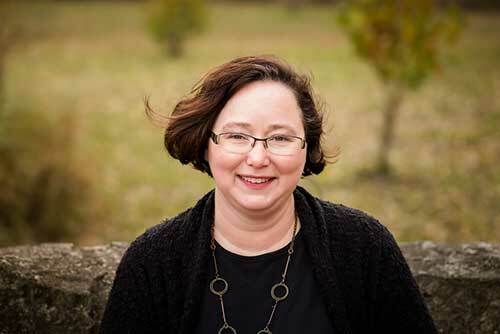 She was recently awarded a Professional Development Grant by the Illinois Arts Council. She has had articles published in Art Jewelry Magazine, Studio PMC and been interviewed by The Crafts Report, Fusion, Authority on Jewelry Manufacturing, Bead and Button and Studio PMC. In September 2012, she was profiled in her local paper and at JCKonline. In 2012 she participated in the four day National Seminar for Teaching Artists, developed and hosted by the John F. Kennedy Center for the Performing Arts. Elaine has been blogging at All Things Metal Clay since 2007 and on this site since 2013. Since 2013, she has been a speaker each year at Creative Chicago Expo (to become Lake FX in 2015) and the Self-Employment in the Arts Conference. See the Speaking tab to see all the organizations she’s spoken to and her current list of available topics. Use the Contact Us –> form on the right to get in touch about speaking for your event. Moore Women Artists The Essence of Joy, Combating the Blues with Art, 2016. Moore Women Artists Tiffany Gholar: Author, Doll Photographer, Painter, Interior Designer, June 2016 Moore Women Artists Mary Ellen Croteau: Artist, Agitator and Environmentalist, June 2016. Moore Women Artists Residency vs. Motherhood, June 2016. 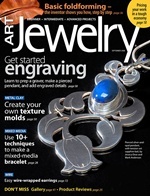 Art Jewlery Magazine, subscriber bonus download Metal Clay Envelope. Work with Elaine! Elaine is available for public speaking. Her jewelry is available for wholesale to qualified retailers. View jewelry here. Send me an email to start a conversation. Shop Elaine Luther Art! Buy direct from the artist, here,and images of her artwork, “Our Ladies of Perpetual Housework,” are available for sale at Red Bubble. Photo credit: David Pierini for the Forest Park Review.